February 20, 2016 - "A Date In Infamy - So Long Jebbie! The Jeb Bush Timeline done and I hope you allwill use it wisely! "I was the best Governor the State of Florida has ever had." "I have signed the front side of a paycheck unlike many in Washington which gives me better qualifications." News Flash Jeb Bush – our children are not milk nor are they “Human Capital” as so many of the people with their hands in the pot refer to them. Jeb Bush’s support of Charter/Choice and The Common Core Standards as a non-educator but a money man, should tell America what would be in store for us with him as President. August 14, 2015 Former Florida Gov. Jeb Bush talked about one of his biggest political liabilities among conservative voters — Common Core — by saying he doesn’t even know what it means any more. During his appearance at the Iowa State Fair Friday, Bush mentioned “education reform” several times during the “Soapbox” speech event sponsored by the Des Moines Register. But during the question-and-answer segment, Bush was asked specifically about the controversial Common Core standards, which Bush has strongly defended. EDITORS NOTE: I am not sure what this man is smoking, but a statement such as this coming from him after he advises Gov. Scott of FL. to "rebrand" the Common Core into the Florida Standards - it sounds like he is back-tracking just like Jindal, Huckabee, Christie and Walker now that they are running for President. It was Bush who pushed FL and other states to join in the Common Core scam. I wonder what will happen as more and more people begin to realize exactly what the Charter School and Common Core push has been all about. In an April 22, 2015, op-ed, Jeb Bush criticized Hillary Clinton for calling the Trans-Pacific Partnership (TPP) trade deal the "gold standard" while she was secretary of state and cooling "her enthusiasm considerably" as a presidential candidate. He wrote, "Sec. Clinton’s campaign said trade agreements have to pass fresh tests and even greater scrutiny — and among the issues she raised were elements like currency manipulation that the Obama Administration have said were 'poison pills' that would kill the negotiation. So much for the gold standard. These new reservations are conveniently timed. Sec. Clinton wavered on support for trade the last time she ran for President as well. It seems Secretary Clinton thinks we have a short memory." In the same op-ed, Bush expressed his support for the TPP (I would expect him to do no less). He wrote, "I know there is political risk in supporting free trade. TPP is President Obama’s biggest trade initiative. I know some political constituencies in my own political party don’t favor it. But I agree with what Hillary Clinton said about TPP in 2012: This is a great deal for America. It would strengthen our ties to our allies throughout the Pacific region, including our close allies and partners in Australia, Mexico and Japan. We could use more friends, frankly. More than that, free trade is essential to creating the sustained, high rate of growth that we need to create well-paying jobs, new opportunities for American farmers and businesses, and even greater access to a global supply of goods and services." No, I think they look very comfortable! he was told by his father and brother? 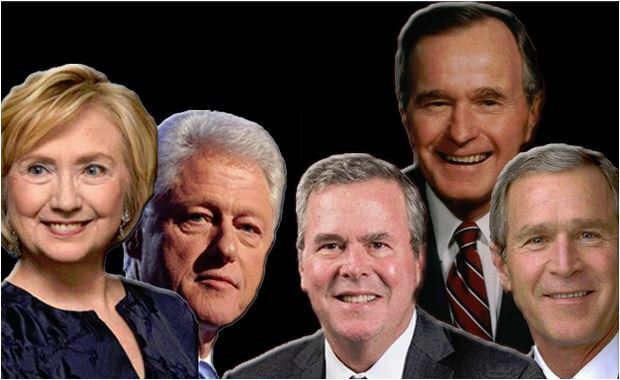 Four generations of building toward a dynasty, have infused the Bush family’s hunger for power and practices of crony capitalism with a moral arrogance and backstage disregard of the democratic and republican traditions of the U.S. government. As we will see, four generations of involvement with clandestine arms deals and European and Middle Eastern rogue banks will do that. 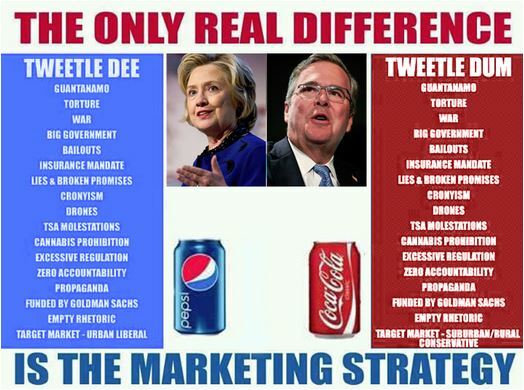 Kevin Phillips "American Dynasty"
JEB BUSH SHOULD BE CONSIDERED UNFIT TO SIT IN THE WHITE HOUSE BY EVERY AMERICAN! Campaign finance watchdog groups today (July 22, 2015) sent another complaint to the Justice Department, arguing Jeb Bush is violating law for his involvement with a Super PAC run by longtime adviser Mike Murphy. "Bush is doing precisely what the 2002 law prohibits: establishing and, through his agents, directly or in directly controlling an entity that is raising and spending non federal funds," reads a letter to Attorney General Loretta Lynch from the Campaign Legal Center and Democracy 21. His campaign insists he has followed the law, and last week reports showed he paid nearly $400,000 out of pocket for "testing the waters" activity before becoming an official candidate. He is a globalist as are his father and brother which is very apparent from words out of his own mouth. Bush called on Huckabee to “tone down the rhetoric” over President Obama’s nuclear deal with Iran. 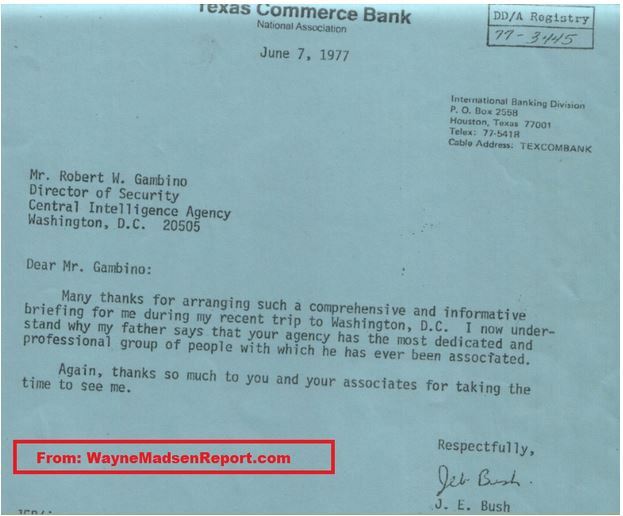 "They want us to believe Jeb had no prior knowledge as to HR 5 - and the re-authorization of his brother's NCLB! Conservative talk radio isn’t exactly a fan of Jeb Bush. Host Mark Levin (tho I am not a fan of his) even once called Bush a “good, moderate Democrat.” Maybe he should switch parties. July 2015 in a speech in Tallahassee Bush stated, "members of Congress should disclose their meetings with lobbyists and refrain from lobbying former colleagues for six years after leaving office" - what a joke of a statement as he aggressively is courting lobbyist campaign money and at an event organized by lobbyists to a crowd loaded with lobbyists. Bush has reported eight lobbyist fundraisers in his second quarter financial report, including William Killmer of Mortgage Banking Assoc. 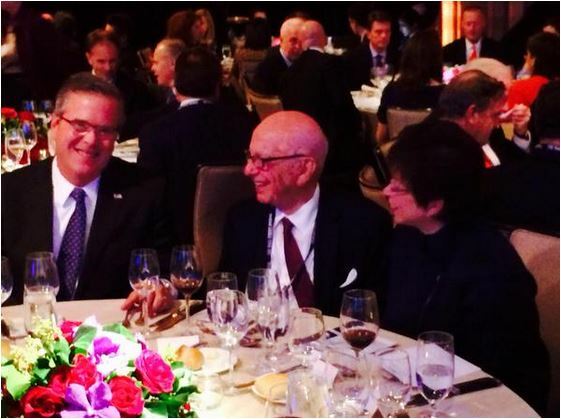 Bush practically BOO'd out of the 2015 CPAC! Jeb not only supports Common Core, he openly advocated for its adoption. That would be an F in education. This blog is about how the Bushes and Oliver North murdered CIA drug smuggler Barry Seal in 1986 in order to keep a lid on Iran-Contra and government's and Bush family participation in CIA drug smuggling to support the Nicaraguan contras (and no doubt to skim some off the top for themselves). Read two books "Barry and the Boys" by Daniel Hopsicker and "Compromised: Clinton, Bush and the CIA" by Terry Reed and you will never look at modern American politics in the same way again. Having recently learned of the real reason Ross Pero ran against Clinton was because he was so angry at him and G.H.W. and their drug activity. Pero's damage to the country was in not telling the country about it. Jeb Bush giving the Liberty Medal to Hillary Clinton! A debt owed - a stronger connection than we realize - or just honoring a fellow New World Order sister! Is Jeb Bush not aware of the abject failure of the Clinton State Department and their arrogant use of the “smart power” slogan? Today the world is a much more dangerous place than it was five years ago. Today America is in a diminished state of power, to the point that some commenters would argue we are at our weakest world position since before WWII. Today America’s footing on the international stage is uncertain -- we have lost influence, friends, allies, and partners around the world. Today our government is the laughingstock of the world and much of that is due to the policies of the Obama administration and the Clinton State Department. This one event, presenting her with the Liberty Medal" should clue all Americans of the non-party connection between these two families which does reach back to the Bush, Clinton, CIA drug running out of Arkansas. Neither are fit for office! Jeb Bush is many things. Hispanic isn’t one of them. A photocopy of the 2009 voter-registration form is online here. There’s no ambiguity in this story – in the field labeled “race/ethnicity,” the Florida Republican had a variety of choices. He identified himself as “Hispanic” and signed the document, affirming that all of the information on the form is true. It wasn’t! I suppose it’s possible that Bush simply made a mistake when filling out the form, but as of this morning, that’s not yet the explanation offered by his spokesperson. Instead, Team Bush doesn’t seem to know what to say in response to questions, which isn’t a good sign. Jeb Bush did learn Spanish and his wife is Mexican, but, not to put too fine a point on this, that doesn’t actually change his “race/ethnicity.” Looking for a political parallel, it would be like New York City Mayor Bill Bill de Blasio identifying himself as African-American because his wife is black. Bottom line - once a liar - always a liar!